While most people out there would think that most tv users would consume their needs in live tv form. Not this case, at least for Tivo users. The press release below explains the numbers, but basically it says that more people watch recorded/on demand content rather than live tv. LAS VEGAS, NV, Jan 11, 2012 (MARKETWIRE via COMTEX) --As consumer television viewing habits continue to shift, TiVo Inc. (NASDAQ: TIVO), the creator of and a leader in television services and advertising solutions for digital video recorders (DVRs), released research today showing that the consumption of recorded television and Internet-delivered programming is quickly surpassing live TV viewership. Nearly two thirds of the viewing on web-connected TiVo units is now delayed television or on-demand video via broadband (OTT). That's the latest data from TiVo's audience research unit, which tracks anonymous usage across some two million TiVo devices on a second-by-second basis. Of those devices, only 38 percent of viewing is live. 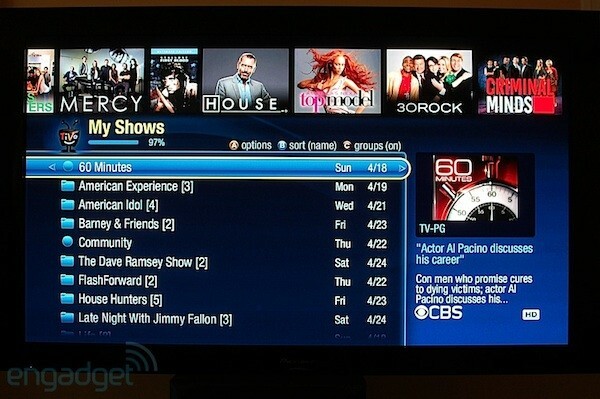 TiVo provides broadband OTT access to Netflix, YouTube, Hulu Plus and other video options. Among those TiVo subscribers that used these services, live viewership is even lower at 27%. "This new second-by-second data shows that on demand viewing though a combination of time shifting on the DVR and broadband OTT has become a huge part of the consumer's entertainment mix," said Tara Maitra, SVP and GM of content and media sales for TiVo. "The trend here is obvious. For most of their video, these consumers prefer to watch on-demand, whether it's recorded off the air, cable, satellite, or delivered via broadband. It really has become all about whatever they want to watch, whenever they want to watch it." "We all know the way consumers watch TV is quickly changing, especially when it comes to the growing consumption of Internet delivered content," said TiVo President and CEO Tom Rogers. "As people watch less live TV, the television industry is being challenged like never before to meet the needs of viewers. For the cable industry, TiVo is the leading provider of advanced television solutions that deliver seamless access to four forms of content -- traditional live TV, recordings from TV linear channels, operator video-on-demand, and broadband-delivered video. The reduction in time spent watching live TV has huge implications for commercial ad delivery, how consumers search and find programs, and the role of networks in the carriage of shows, all of which require the industry's increased focus."